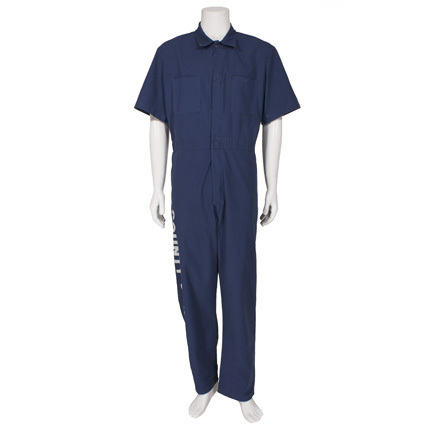 This “County Jail” prisoner’s jumpsuit was worn by the character “Steven Kovacs” portrayed by actor Matthew Broderick in the 1996 motion picture “The Cable Guy”, also starring Jim Carrey. 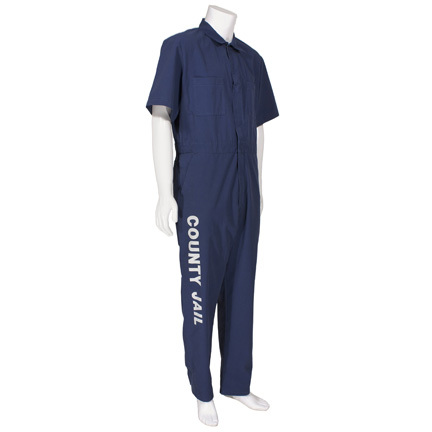 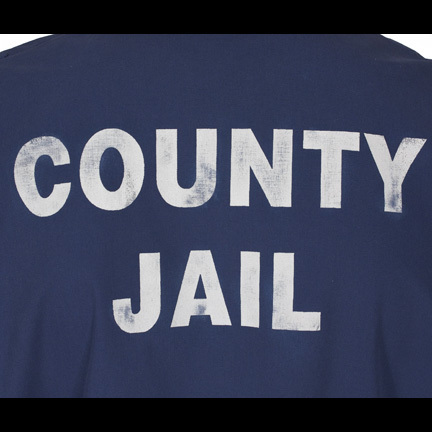 The short sleeve jumpsuit is constructed of dark blue cotton with zippered front and has the words “COUNTY JAIL” printed on the back and down the front of the right leg. 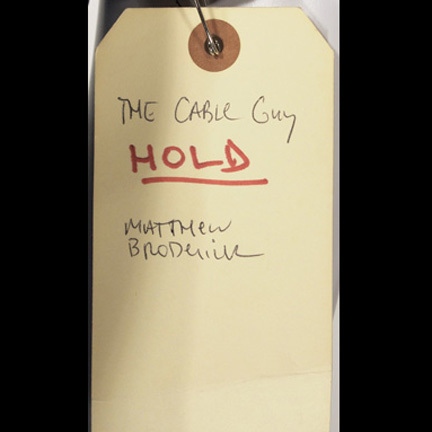 The original costumer’s hold tag is attached listing film title “The Cable Guy” and actor’s name “Matthew Broderick”. 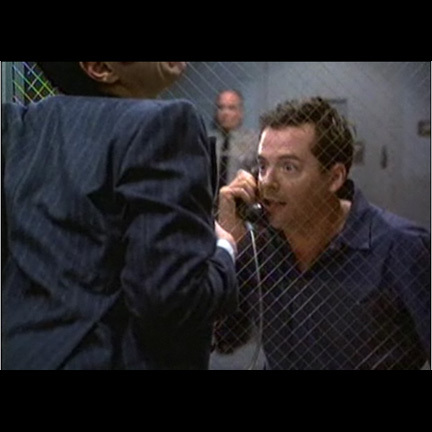 Mr. Broderick appeared wearing the garment in the scene where Kovacs has been thrown in jail and receives an unwelcome visit from his nemesis “Chip” AKA “The Cable Guy” (played by Carrey). 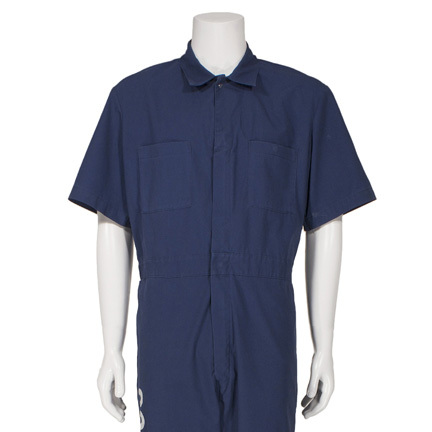 The actor also appeared wearing this suit in several promotional images for the film. 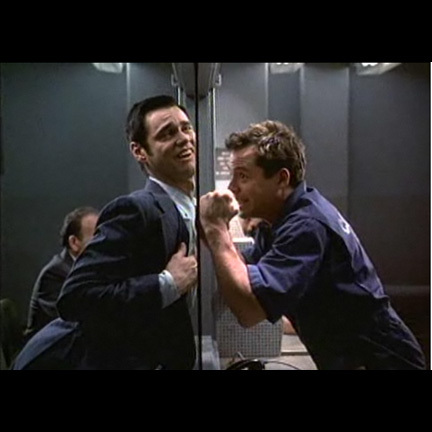 Jim Carrey won two MTV Movie Awards in 1997 for Best Comedic Performance and Best Villain for his work on “The Cable Guy”, and both he and Broderick were co-nominated for Best Fight for the comedic medieval sword fight sequence. 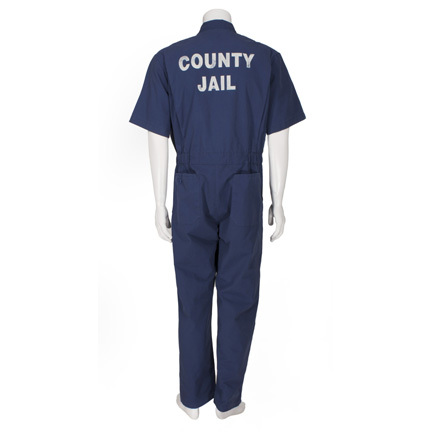 The garment is in good screen used condition and is accompanied by a letter of authenticity from the costume house.